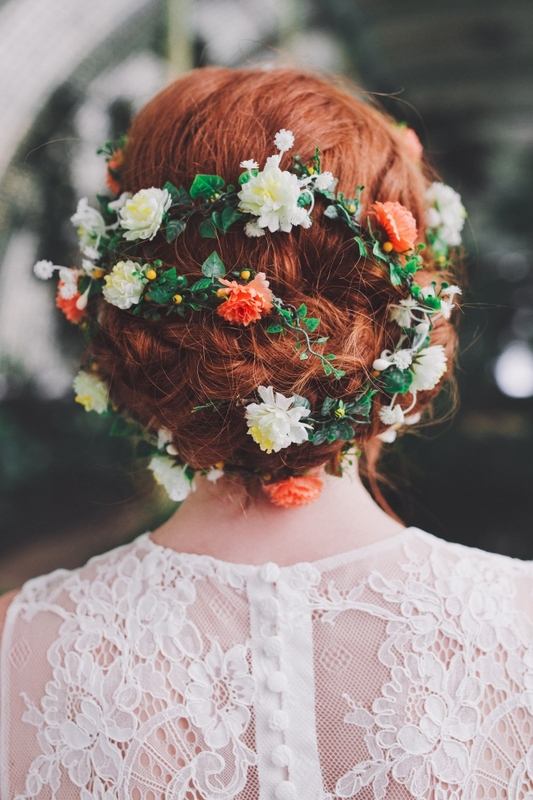 While fresh flower crowns and floral hair accessories look gorgeous, you can only wear them for a few hours. If you’d like to get unlimited use of your hair accessories, consider choosing one made of silk flowers. 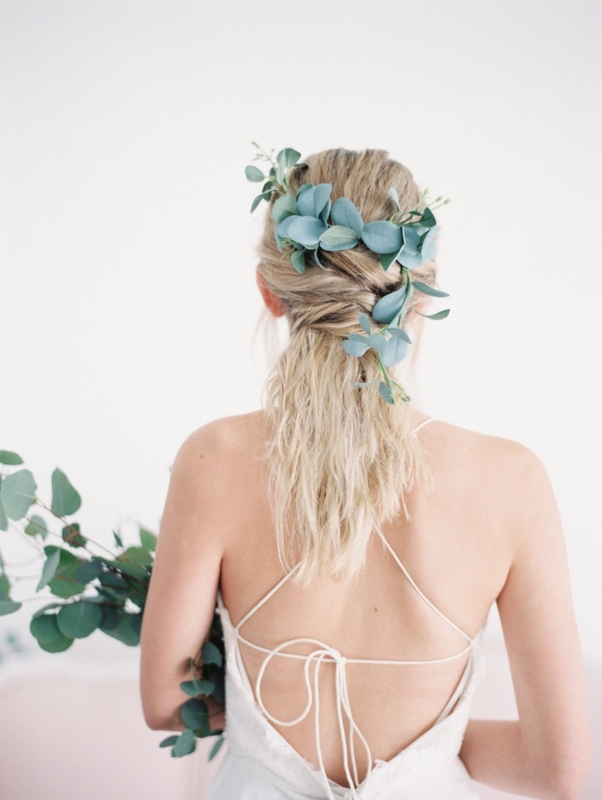 Etsy has a stunning selection of silk flower hair accessories, and we’ve narrowed it down to 10 fabulous choices, from boho chic to forest goddess, that will surely match your bridal look. It is impossible to tell that this lovely Poetry Flower Crown from LoveSparklePretty is not made with real flowers! We are obsessed! 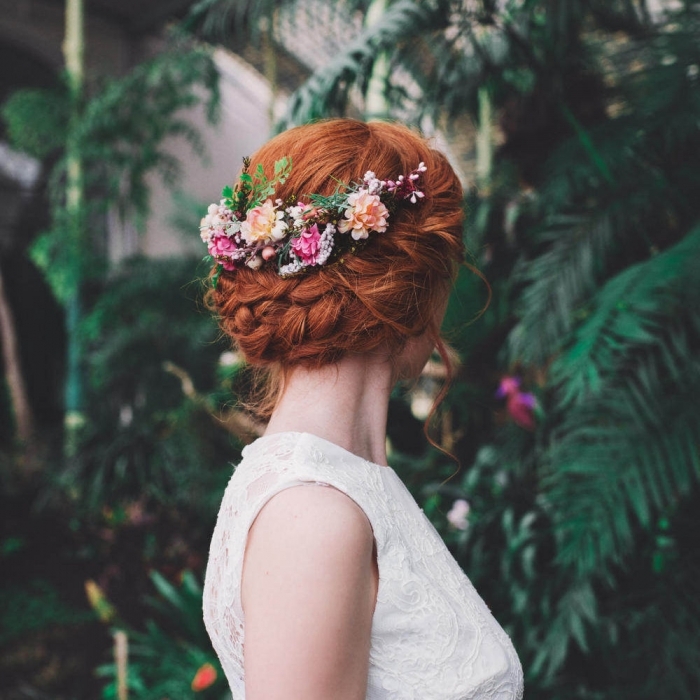 This romantic hair wreath from MagaelaAccessories will take any bridal hairdo to the next level! If you’re looking for a piece that complements your bridal look without stealing the spotlight entirely, this eucalyptus leaf floral comb from LoveSparklePretty is for you! 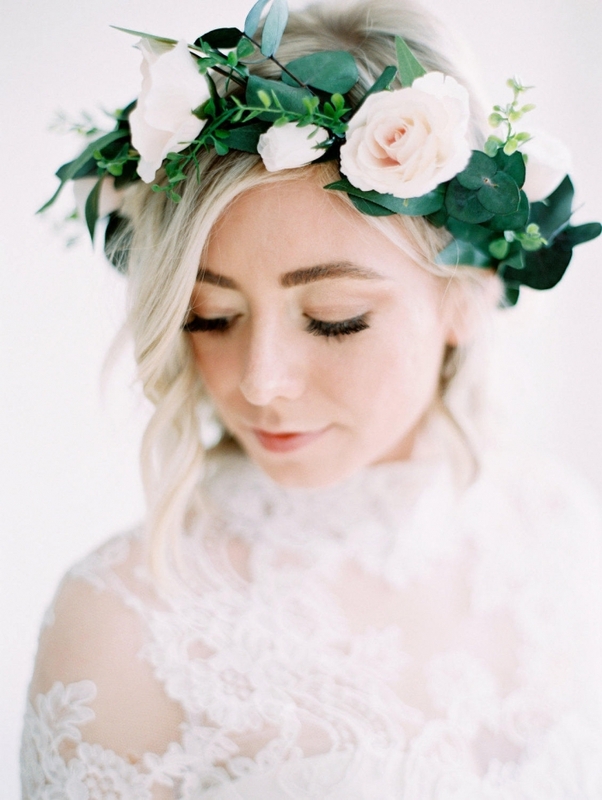 With big blush blooms and lush greenery, this flower crown from LoveSparklePretty is just what you need on your wedding day! 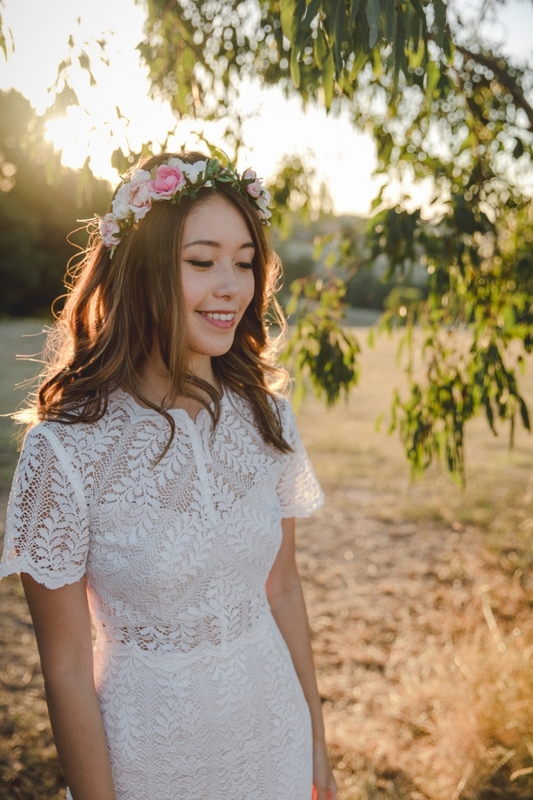 This floral headpiece from kisforkani is so pretty, you’ll be thankful it will keep forever! 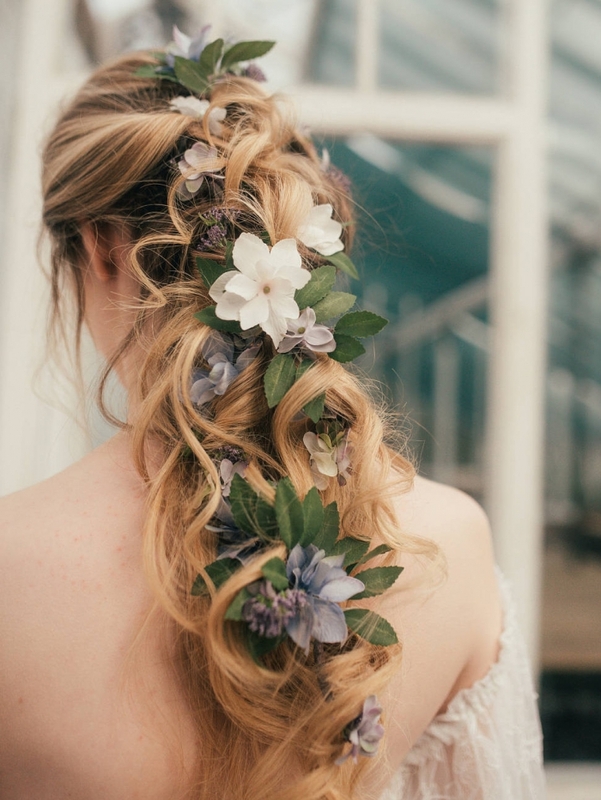 Channel your inner Rapunzel with this unique hair vine from GypsyRVintage. 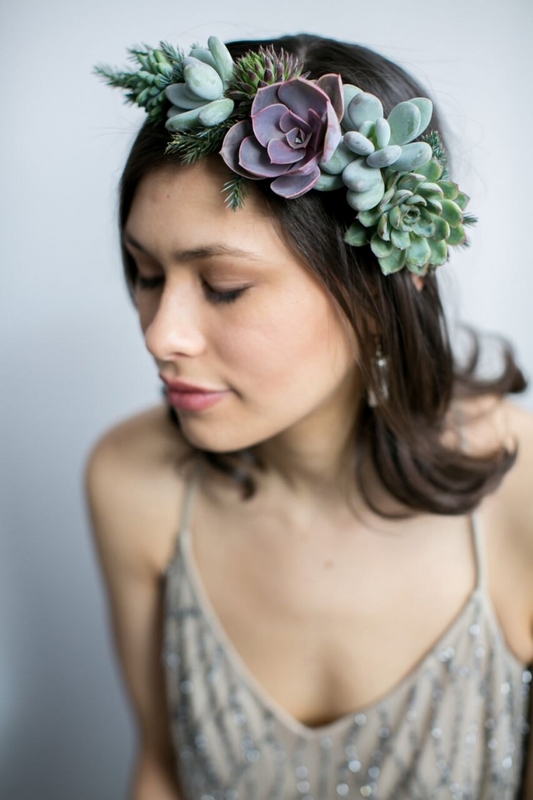 This succulent flower crown from PassionflowerMade is truly special. After your wedding, you can plant the succulents and care for them, and have a beautiful living reminder of your big day. Let your bridesmaids in on the fun too! 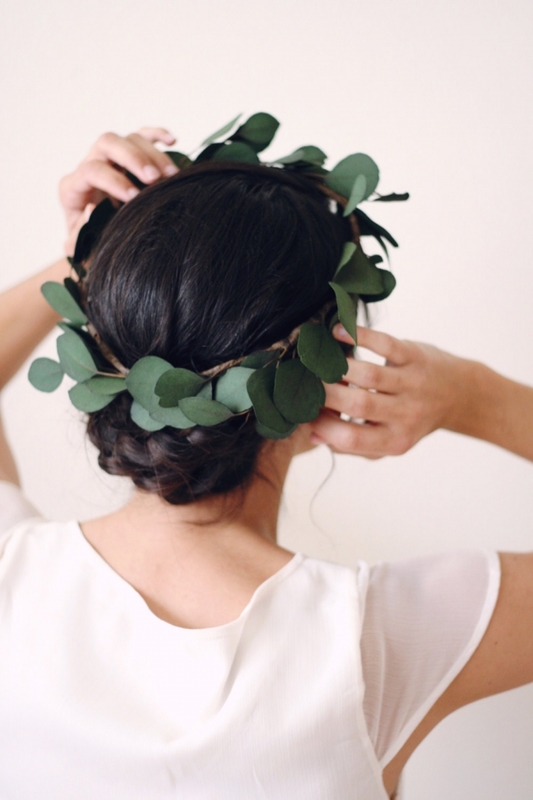 They’d love to wear these simple, ethereal eucalyptus crowns from LoveSparklePretty. Paired with a simple white lace dress, you’ll be a boho goddess in this hair wreath from MagaelaAccessories. 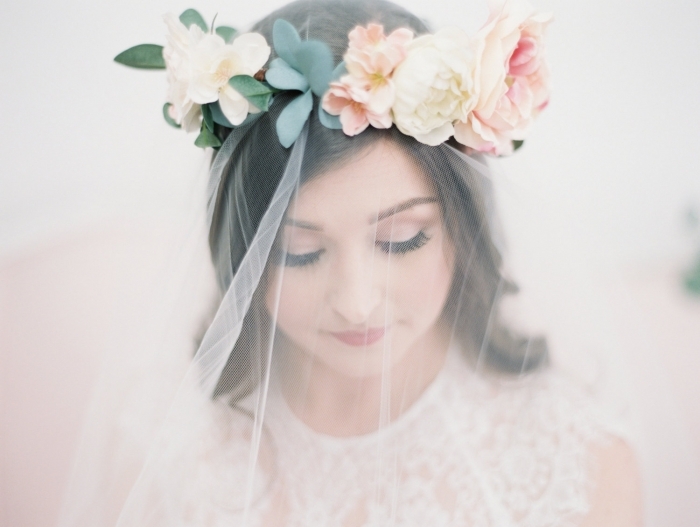 This blush flower crown from LoveSparklePretty is perfect for the beach bride! Wear it with a white veil for a truly stunning bridal look.